Illustration artwork, design, print and distribution. Starfish was commissioned by MetroBus UK to design some bright colourful new livery for 13 buses which service two main routes around Crawley and the surrounding area. 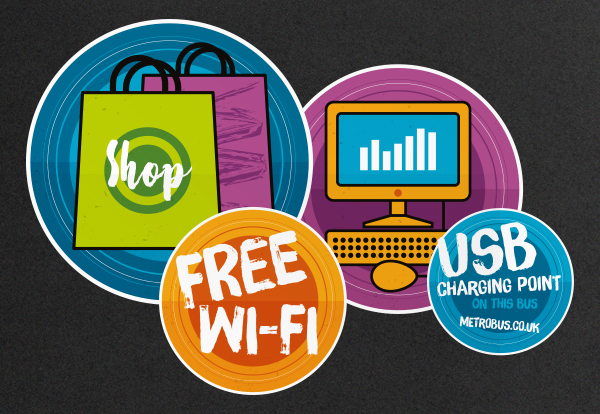 As all the buses now have USB charging points at every seat, the theme of the graphics was 'connectivity' not only via wi-fi but between home, work, school, the shops etc, each with its own colourful illustration.